How do you know? Well, I do or better I did. It was 1993 and this picture reminds me of my mother and my aunt eagerly looking forward to the evenings when, Corazon Salvaje, a telenovela produced by José Rendón for Televisa was on tv. This third adaptation of the novel written by the Mexican authoress Caridad Bravo Adams was an absolute hit world-wide and the very first one to be aired in prime time in Italy. Those were the happy evenings when men could safely go and play five-a-side and have a beer with their friends, as no woman entrapped in this “novela” would have ever noticed their absence. I was not one of them at first and I remember how I enjoyed mocking my mother and my aunt any time I could, till, I don’t even know how, I fell under the spell. I had watched only the last episodes of the saga, by the way, and now I had the chance and the time to view them all. And this is what I did. I watched 80 episodes for almost 70 hours in six days and then I started from the beginning again when I found the “novela” in the orignal language on DailyMotion. Now I can confess it, I am addicted. I won’t attempt to draw a plot as there are too many twists and turns, but I can say that this is legendary story of a love triangle between two young countesses, Monica and Aimée de Altamira with the illegitimate son of a wealthy landowner, named Juan del Diablo. The character of Juan del Diablo is actually the reason of the heartbeats and sighs of all the female viewers of this saga. Caridad Bravo Adams succeeded, in fact, in giving life to the most amazing Alpha male of the Alpha males we have met on books or movies. He is a living oxymoron. He is a smuggler, womanizer, wild, impulsive,rude, a devil as his name suggests and the name of his ship too: Satan. But on the other side, we discover he is noble, good-hearted, a gentleman (if he wishes), terribly handsome and ready to put on slippers and make a family. He is a sort Heathcliff, Othello, Mr Rochester, Mr Thornton and even Mr Darcy in one character alone. Incredibly indeed, the fortunate lady, Monica, who eventually wins his heart, won’t use any seduction technique but true love and a rosary (never underestimate the power of the Almighty). Good plots are never enough to make a series a hit, if there is not a great cast of actors and I have to say that, having also been able to enjoy it in the original language, they were all amazing. Eduardo Palomo as Juan and Edith Gonzales as Monica gave a super intense interpretation, that made us all dream, but also Enrique Lizalde with his awesome baritone voice, who is Noel Mancera, the father figure who helps Juan grow and control his impulses, stands out. It is interesting to know that Enrique Lizalde acted as Juan del Diablo in the first adaptation of this “novela” in 1957.The sudden death of Eduardo Palomo only few years after Corazon Salvaje had become a global success, turned the series into myth. After 25 years there are still thousands of pages dedicated to him and to the series, that keep his memory well alive. While I am writing this, my good friend Oscar Wilde mockingly cames to mind and keeps whispering in my ear “All women become like their mothers. That is their tragedy. No man does. That’s his.” You are right, this is what I have become after 25 years, like my mother, but, is this really a tragedy, my friend? Do you really believe Miss Elizabeth Bennet was in love with Mr Darcy? Noooooo. First of all, I would like to start thanking Miss Jane Austen for having conceived the second greatest girlish fantasy soon after Prince Charming: Mr Darcy. But, my dear ladies, it’s time to say it clearly: in the real world Mr Darcy does NOT exist. It’s a sad truth, I admit, but we have to learn to face this harsh reality. Therefore, I would like to study well the character of the lucky one who has succeeded in winning his heart, at least in the fictional world, and marrying for love: Miss Elizabeth Bennet. Why her? What is that something that has bewitched Mr Fabulous, a handsome, elegant, generous, trustworthy man with an income of 10 thousand pounds a year? Because, as far as we know, Elizabeth is pretty, but not that pretty, her sister Jane is far more attractive than her, furthermore, she doesn’t seem to possess the necessary accomplishments that a girl required: she cannot draw, she doesn’t speak any languages, well, actually, she plays and sings but “tolerably well“. Last but not least, Lizzy has an embarrassing family that cannot provide her with a decent dowry in order to turn her into a desirable catch, as “last chance man” Mr Collins had predicted. So what? 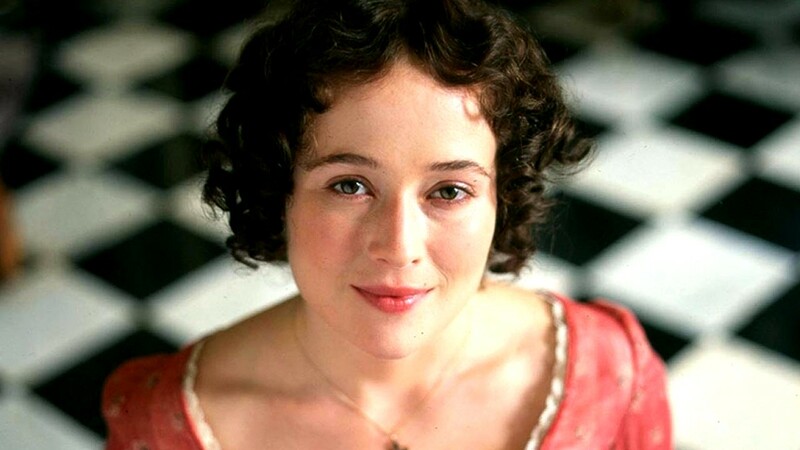 This Elizabeth Bennet seems to me a girl just like many others, perhaps a bit more intelligent and witty, that is all. Differently from the other ladies she doesn’t seem to be beguiled by Mr Darcy’s superior rank and wealth. Really? In my opinion she just played hard to get, this is the point. Men like this game, especially if they are convinced to win, but they eventually end up caught in the lady’s trap. Darcy is just one of them. Elizabeth says she is determined to marry for love and not for money, this is commendable, yet I am not persuaded. When does she exactly realize that she is in love with Mr Darcy? After having read his explanatory letter? Or when she knows that he had secretly rescued the whole family from disgrace? When? Actually, I have the answer: in a trip to Derbyshire. 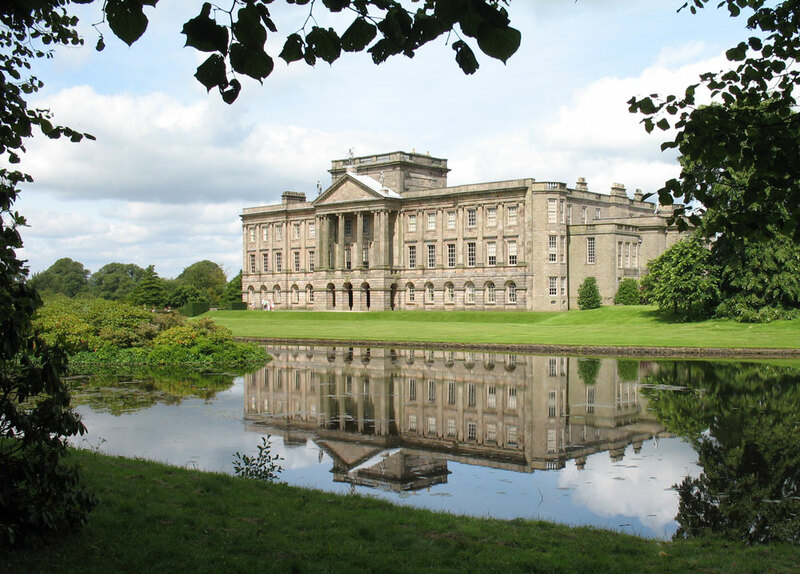 Elizabeth and her uncle and aunt stop to visit Mr Darcy’s “hut”: Pemberley. Elizabeth seems a kind of unwilling to go, because she is afraid of meeting the man, I know, but when she sees this sort of Buckingham Palace surrounded by woods, ponds, streams she realizes something which I wouldn’t call love, exactly: “ I could have been mistress of all this” she muses sighing. When Mr Darcy unexpectedly shows up after a while, we will see a complete different Miss Bennet: more yielding and ready to flirt. Just like any other girl. 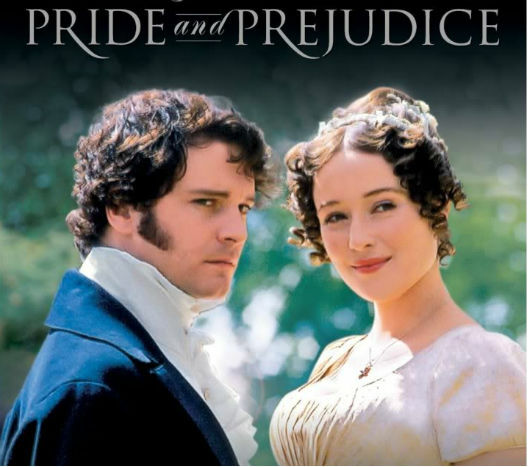 Here is an online modernized adaptation of Jane Austen’s Pride and Prejudice.